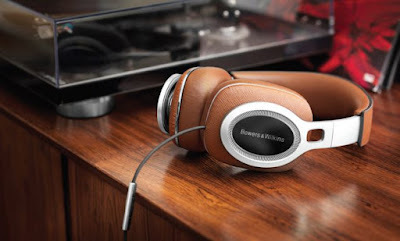 News: Bowers & Wilkins celebrates 50 years with P9 Signature headphones. Bowers & Wilkins celebrates 50 years with P9 Signature headphones. Anniversaries are sort of a big deal for Bowers & Wilkins, and it has historically celebrated new milestones with an outlandish, limited edition product normally in the form of a loudspeaker with a price to make your eyes water. The long-standing high-end British audio company now celebrates its 50th year in existence, but instead of using loudspeakers in place of candles, this time it’s launching a brand new set of headphones in the form of the P9 Signature. Bowers & Wilkins today announces P9 Signature. Its best sounding and most luxurious headphone to date, P9 Signature was conceived to celebrate Bowers & Wilkins 50th anniversary. Designed with music lovers in mind, P9 Signature delivers a unique and superior audio experience; bespoke technologies provide precision at high frequencies and astonishing bass for the ultimate audio experience. Engineered by the same team responsible for the class-leading 800 D3 loudspeaker, P9 Signature is Bowers & Wilkins’ largest over-ear headphone and exemplifies all of the acoustic and design innovation amassed during its 50-year journey. Part of this crystal-clear listening experience is created through the innovative placement of the transducer, which is positioned to provide a more natural listening experience. The wearer hears sound as if they are listening to a pair of stereo speakers rather than headphones, with a sense of imaging, depth and clarity that is truly breathtaking. The headband adds strength, but is cleverly decoupled from each earcup, stopping unwanted vibration from distorting the sound while also offering the very best in comfort. This is similar in both thinking and in material choice to the approach used in the latest generation of 800 Series Diamond loudspeakers. The finest materials have been used for each component of P9 Signature – nothing is off the shelf, everything is custom. Every element has been designed by Bowers & Wilkins engineers to work seamlessly together to create the highest-quality listening experience. The headphones are crafted from Italian Saffiano leather, using a ‘stamping’ technique that gives the material a distinctive cross-hatch finish. Memory foam cushions in the ear pads help isolate noise from the outside world and mould to the shape of the user’s head over time, providing both an acoustic seal and an incredibly comfortable listening experience. P9 Signature’s aluminium arms make them ideal for music on the move thanks to their innovative foldable design and material choice which adds greater durability. The luxurious case is the perfect partner for the flagship headphone; crafted from Alcantara® with its elegant suede-like feel, and Saffiano leather detail, it will protect the headphones while also reflecting their beauty. Alcantara® is a Registered Trademark owned by Alcantara S.p.A. Lightning is a trademarks of Apple Inc., registered in the U.S. and other countries. P9 Signature will come with a variety of high performance cables suitable for use at home and on the go. An additional Lightning cable is in development and will be sent from early 2017 free of charge to those that have registered their P9 on www.bowers-wilkins.com. P9 Signature is a bold statement of a headphone. It delivers levels of depth and clarity that re-write the rules of mobile listening and is a fitting celebration of Bowers & Wilkins’ five decades of acoustic excellence. Our thoughts - The P9 Signature was created to reflect 50 years of acoustic innovation and excellence. It has striking depth and clarity and looks gorgeous too. Pre-order your P9 today - Sound & Image Menlyn 012 368-1440 and Sound & Image Sandton 011 884 5165.